Last week, Aaron Klein reported that the anti-war organization, Iraq Veterans Against the War (IVAW), recently aided in the petition for conscientious objector status of Pfc. Naser Abdo, the Muslim solder who was arrested earlier this month when he was found with explosives that he admits were to be used in an attack on Fort Hood soldiers. IVAW was founded in 2004 and has since partnered with a slew of radical organizations like CODEPINK, Courage to Resist, and Students for a Democratic Society. All are known for spreading anti-war propaganda and for being cracker-jack agitators. Apparently, the current Iraq and Afghanistan wars aren’t enough to keep the IVAW busy. Earlier this month, the 2011 IVAW Conference took place whereby a “Resolution on Palestine” was voted on and passed by board members. The resolution decries Israel’s “brutal, apartheid occupation on the Palestinian people” and calls for an end to U.S. aid to Israel and to “the colonial occupation of Palestine as well as Iraq and Afghanistan…”. IVAW has a long history of blaming the United States (and the rich) for anything and everything, so it should be no surprise that their newly-adopted resolution describes U.S. military support of Israel as part of a coordinated strategy to dominate the Middle East. 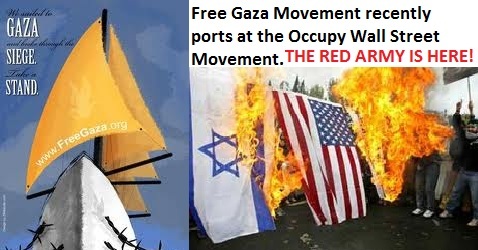 IVAW has endorsed and participated in protests along side anti-Israel organizations such as the A.N.S.W.E.R. Coalition and Al-Awda: The Palestine Right to Return Coalition. A.N.S.W.E.R. works closely with the Muslim American Society on several campaigns. According to Steven Emerson, director of the Investigative Project on Terrorism, the Muslim American Society is a “de facto arm of the Muslim Brotherhood in the U.S.,” whose agenda is to impose Islamic law in America and to undermine our counter-terrorism policies. Al-Awda denies Israel’s right to exist as evidenced by protest signs printed and distributed in their name that read “FREE PALESTINE FROM THE RIVER TO THE SEA”. This language obviously supports a long-standing threat and desire of some to drive Israel into the sea.